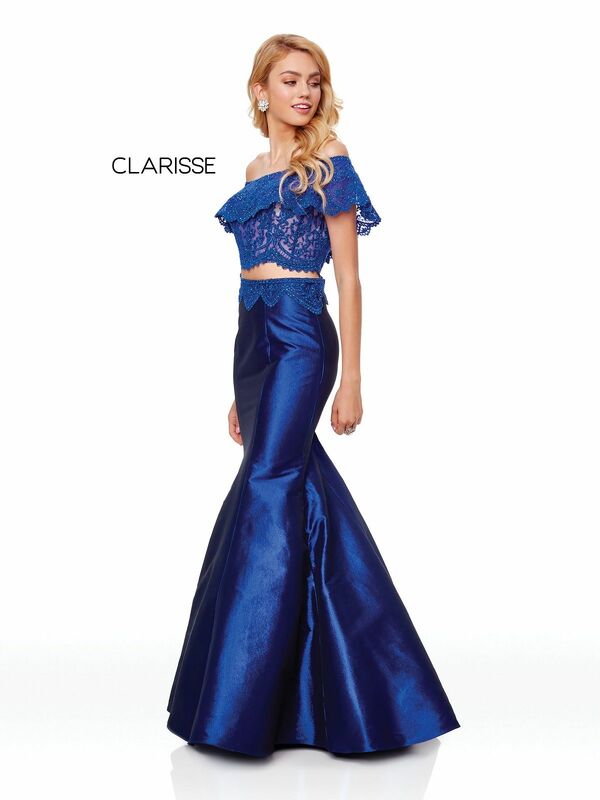 Dazzle your date in romantic boho prom dress 4932 from Clarisse couture! This two piece style has an off the shoulder lace top with ruffle sleeves and sparkling gems. The mermaid skirt is made of luminous taffeta and is available in three on trend colors: jewel tone Forest Green, rich burgundy Wine, and cool metallic Gunmetal gray, and in sizes 00 through 20. Make this an unforgettable prom look with a loose wavy side bun, choker necklace, and delicate makeup.